Our second project grew out of the Working with Social Haunting project in response to a 2016 AHRC Connected Communities funding call around the theme of Community Futures and Utopia. This project maintained the element of arts-based methods, particularly of poetry and comic strip workshops, and extended the geographical scope of the work through an intergenerational collaboration with new partners: Staffordshire coalfield theatre, New Vic Theatre Borderlines, and an autonomist youth group in East London. These enhanced our established partnerships with The Co-operative College and Unite Community. 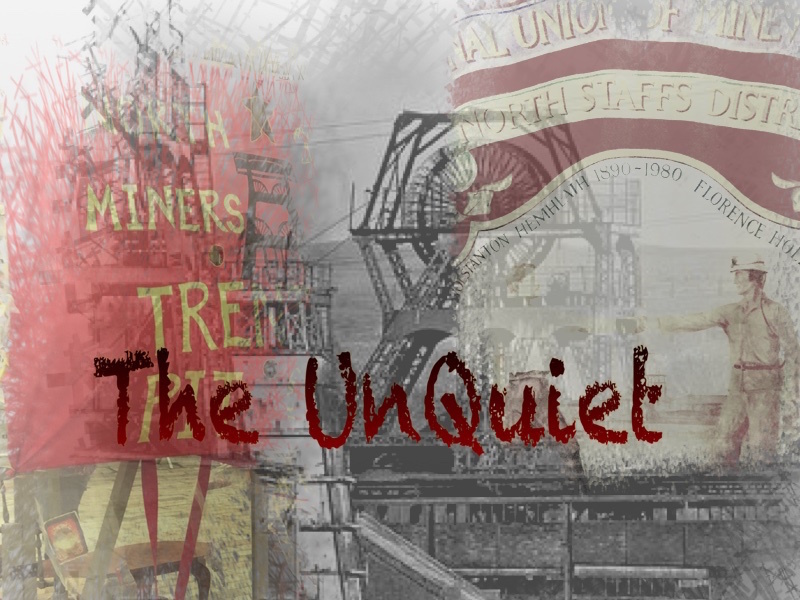 The project was delivered in two phases, the first of which involved the project team working with Borderlines at the New Vic theatre in Newcastle-under-Lyme, Staffordshire in a coalfield community outreach process that we called “Utopia Ghost-hunting” and led up to a community theatre performance entitled ‘The UnQuiet’. The second phase of the project took the Ghost Lab model to the 2016 Utopia Fair at Somerset House in London, running open Ghost Labs on each of the two days which included the Voice of Youth group, in our attempt to bring together contrastingly diverse and changing intergenerational communities. In a shift of theoretical emphasis from ‘Working with Social Haunting’, this project gave particular attention to Ernst Bloch’s (1995) work by posing community futures as “an always present ‘not-yet’ of contested communal pasts” (see Bright, 2012). “The Ghost Lab is intentionally, then, something of a theoretical and practical rag-bag.” This section notes the key currents that feed in to our inquiry in to ‘living knowledge’, through projects that began with an attempt to operationalise Avery Gordon’s notion of ‘social haunting’. Academics, partners and creative practitioners reflect on the qualities that make the ‘Ghost Lab’ significant, analysis of the contributions of participants, how ‘social haunting’ was operationalised, and the tensions between instinctively “getting it” and the work’s complexities. Conference paper: Working in ‘Ghost Labs’: Developing a collaborative process/event space of communal knowledge activism, at the International Congress of Qualitative Inquiry, Urbana-Champaign, May 2016 (Geoff Bright & Sarah McNicol).